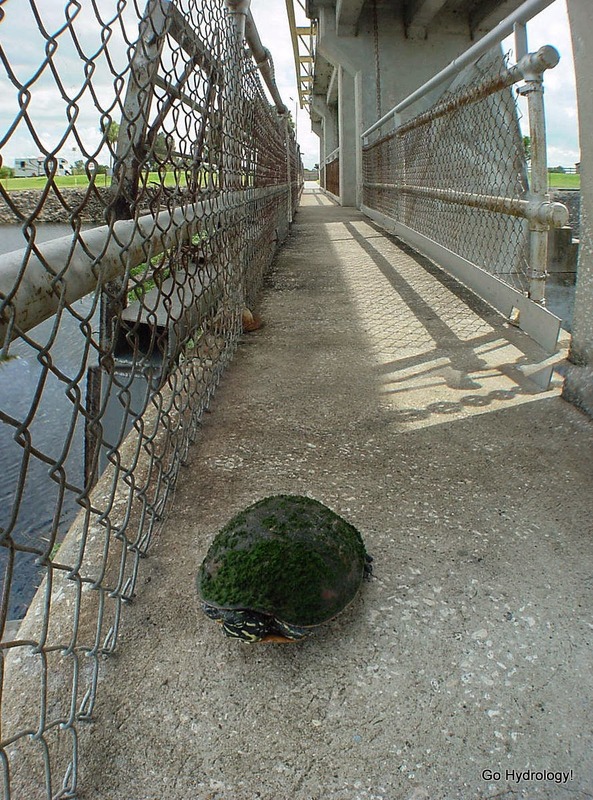 Why did the turtle cross the dam? The answer is not to get to the other side. This turtle was desperate to get into the water. You did pick him up and put him into the water.....didn't you, Bob? We walked back together to the feeder canal that flows into the tailwater side.